Spanish is a beautiful Language, we all know that. For English speakers, Spanish might be particularly easy when compared to other languages like Japanese (super tough). Whether you are a total beginner or have already walked for some time along the route to Spanish mastery. In this article (with infographic included) I will show you some facts that you probably were not aware of. I bet you didn’t know that there are studies trying to demonstrate how happy some languages are. Have you ever heard a native Speaker of the language you are trying to learn? Oh my, does that sound fast! We all have that perception. If you are learning Spanish, probably you have noticed that native speakers of this language may sound like a machine gun to your ears at times due to the speed they pronounce words. Well, it turns out that Spanish is actually the second fastest language in the world! This is the conclusion that a group of researchers from the University of Lyon made in a study of 2011. In the study, researchers measured the number of syllables needed to convey information in a certain period of time. This is what linguists call syllabic rate. In other words, some languages carry more information per syllable than others; in consequence all languages with low information density need to speed up in order to deliver the same amount of information in a given period of time than other languages. For instance, in 1 minute, a person needs to speak faster in Spanish than in English to convey the exact same message. If you wanted to say this 2 phrases in just 1 second, you would need to pronounce 4 sounds in English and 6 in Spanish in the same period of time, this is what makes a language faster than the other. Obviously there are many phrases that are just shorter in Spanish than in English, but in the big majority of cases, you will need less syllables in English. Again, this happens because of the information density in each language. Spanish syllables alone don’t carry that much info. On the other hand, languages like Chinese can express full and complex ideas or concepts with just few sounds, thus the need to speak fast is reduced. How many people Speak Spanish? If so, I’ve got the answer for you: More than 572 million! That’s right, half a billion people speak Spanish in the world. According to Cervantes Institute, this figure includes the 477 million native speakers (mainly from Latin America), bilinguals (whose native language isn’t Spanish) and students (around 21 million). How are they distributed around the globe? You may wonder. Well, Mexico has the largest population of native speakers, followed by Colombia and Spain. Most Spanish speakers are in Latin America but there are important concentrations of immigrants in the US where Spanish is the second most common language spoken at home. But this does not stop here. Even in Africa there is one country whose official language is Spanish. That’s Equatorial Guinea. This country adopted Spanish as its official language since 1844 and around 70% of its population use it as first language. The second thing we should take into consideration is the fact that Spanish is one of the most studied languages in the world, making it so easy to find someone who can at least know a few words in this Language. I myself have experienced this, I’ve been to many countries and have always found someone who speaks my Language. Germany, Australia, Poland, Ukraine, UK, Thailand, you name it. There is always someone out there who is either native or is learning the language. In a nutshell, not only is Spanish a widespread language, it is also very popular amongst language learners. Great reasons to learn Spanish! A positive Language ¿Is this even a thing? This may take you aback, but there are actually happy and not so happy languages. This is the conclusion a group of researchers made not so long ago. In the study, they labeled languages according to their happiness and found out that Spanish is indeed the happiest one of all the languages that were taken into account for the study. Easy, by analyzing the use of positive words in millions of books, online resources, forums, subtitles, TV shows, song lyrics, etc. And this makes sense, since it is near to impossible to analyze millions of people in real time conversations, it is just easier to study the way cultures express their reality using other means of communication such as written words. Keep in mind that any given language is a system to express a reality of the society that created that language. Thus, it is safe to say that the use of positive words in a major scale reflects the positive view of the society over things (or its own reality). Reasons why speakers from a certain language use more positive words than others are not clear, but it is true that the use of more positive words “change” reality. What the study found is that in Spanish, speakers use a 9:1 proportion, in other words. For every 9 positive words they use while expressing anything (in any way / shape/ form) only 1 negative is used. The study revealed something interesting, in general all languages have an obvious bias towards positivity. Why does this happen? That remains unanswered. Yeah we know this is a well-known fact (because, you did know right?). Mexico has a huge population, around 130 million of inhabitants and the main language there (not official though) is Spanish. Hence, it is not a surprise that the most populous Spanish speaking country also agglutinates the largest group of Spanish speakers. More important than telling you how many speakers each country has, a more interesting thing to tell you about is the words coming from Mexican Spanish, some of them you wouldn’t have imagined. If you know some words in Spanish, for sure you know how to say “Avocado” (who doesn’t love it? ), well it turns out that “Avocado” comes from the word in Mexican Spanish Aguacate, derived from the ancient Nahuatl language spoken by the famous Aztec civilization. Not only does the word come from Mexico, avocado itself originated in south central Mexico! Yes, originally with Ñ and pronounced somewhat like “Pee-nee-ah-tah” this word refers to the papier-mâché-made figures used in Mexican cumpleaños for kids to hit it and get as many candies as they can from it. Nowadays this tradition has made its way across different countries, especially the US and all those countries where groups of Mexican immigrants reside. Originally a drink in ancient Mexico, Chocolate dates back from pre Aztec times but the word itself is thought to have originated during the Aztec civilization and popularized by Spaniards. The word in its original Nahuatl (Aztec language) form is xocoatl. Another gift from Mexico to the world. The drink has its origins (let me guess, in México?) in the west area of Mexico. Did you know that there is an actual city called Tequila? It is located in the state of Jalisco, Mexico. If you ever visit this place, don’t forget to take the Tequila tour, you will taste many varieties of world class Tequila (very cheap btw) and most probably be drunk by the end of the tour. How many hours do I need to learn Spanish? I will never get tired of expressing my love for Spanish language, not only is it a beautiful language and sounds amazing but its importance is increasing rapidly throughout the world. Probably you want to read some books of Garcia Marquez, maybe listen to Latin songs or you want to communicate with a good Spanish speaking friend. Whatever the reason may be, Spanish is an easy bet for English speakers since the grammar is easy enough to start with the basics. But what if you are on the path of mastery and proficiency? Well, in this case you need to push yourself and study hundreds of hours to reach reading and speaking proficiency. Or at least this is what the Foreign Service Institute says. According to the FSI, you need about 600 hours of guided studies, meaning that you have to take 25 hours of classes a week during 24 weeks to reach proficiency. Or at least that’s what the institute says. As you can see in this map, Spanish is in the first category, the “easy ones”. It is also important to note that an average Spanish speaker uses around 300 unique concepts of the language to communicate, this refers to 300 different grammar resources. This unfolds into 7 thousand words that an average speaker uses across different conversations. So there you go, all in all you can potentially get to a good level in just half a year if you study around 5 hours a day 5 days a week and expand your vocabulary until you are able to actively use around 7k words. But now that I think about it, 600 hours and 7 thousand words seem like a lot. Who has enough time (and energy) to study 5 hours a day every day for 24 consecutive weeks? Not me. I don’t know whether the 600 hours figure is accurate or not, but based on our own experience teaching hundreds of students; immersing yourself in the language and practising with native speakers speed up the process exponentially, make things easier and simply more fun. If you have the chance, try getting exposed to the language by talking to native speakers, there are countless apps out there that help you do so. 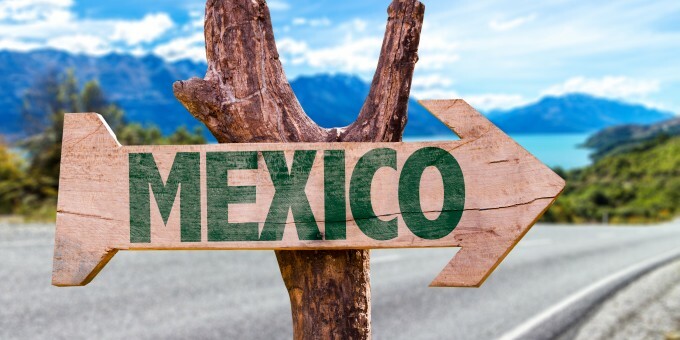 Better yet, if you ever travel to Latin America or think about doing so in the near future, you will find many Spanish schools in different countries to study Spanish, experience local culture and of course travel. Just in case you come to Costa Rica, here at Spanish School Pura Vida we can provide you with an amazing language and travelling experience. We don’t know what the future holds for Spanish speakers or the language itself, but it is obvious that if you learn the language, you are investing your time wisely as Spanish will definitely open many doors to you.